With so many perspectives on the impact of artificial intelligence (AI) flooding the business press, it’s becoming increasingly rare to find one that’s truly original. So when strategy professor Ajay Agrawal shared his brilliantly simple view on AI, we stood up and took notice. Though Facebook’s focus on day 1 of its F8 conference centered on the company’s recent struggles, day 2 shifted most of the pizazz to the technical advances its team has made over the past year. The company just announced PyTorch 1.0, a new iteration of the framework that merges PyTorch with Caffe2. South Wales Police, London's Met and Leicestershire have all been trialling automated facial recognition in public places. But a lack of legal oversight exists around the technology. We read so many stories about data science being the sexiest job of the 21st century. But the truth is that data scientists typically “spend 1–2 hours a week looking for a new job” as stated in an article by the Financial Times. Cisco just announced an agreement to acquire Accompany, which uses AI to build databases of people and relationships at companies. Founder and CEO Amy Chang has compared the product to a digital chief of staff or personal assistant, giving executives the context they need before meetings. Visualization is meant to compare and contrast data, which lets you see patterns, glean insights, and all that. However, if we focus specifically on finding or displaying differences, some methods are more helpful than others. This guide describes five ways to get this focus. Have you ever been embarrassed by the first iteration of one of your machine learning projects, where you didn’t include obvious and important features? In the practical hustle and bustle of trying to build models, we can often forget about the observation step in the scientific method and jump straight to hypothesis testing. A/B testing is essential to how zulily operates a data-driven business. They use it to assess the impact of new features and programs before rolling them out. This blog post focuses on some of the more practical aspects of A/B testing. For many data scientists, data manipulation begins and ends with Pandas or the Tidyverse. In theory, there is nothing wrong with this notion. Yet, these options can often be overkill for simple tasks like delimiter conversion. Aspiring to master the command line should be on every developer’s list, especially data scientists. Among data scientists and analysts, R has long held its own against Python in the battle to determine the “best” analytical programming language. Statisticians and numerically-savvy academics of all stripes have typically preferred R to Python, so lots of R&D gets done in R. If you want to stay in the know, here are 7 people you should follow on Twitter. Neural networks have shown usefulness with a number of things, but here is an especially practical use case. 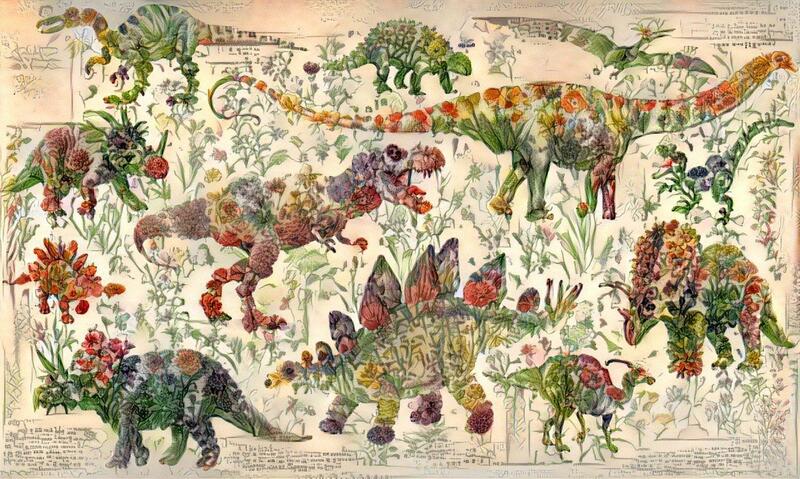 Chris Rodley used neural networks to create a hybrid of a dinosaur book and a flower book. The world may never be the same again.